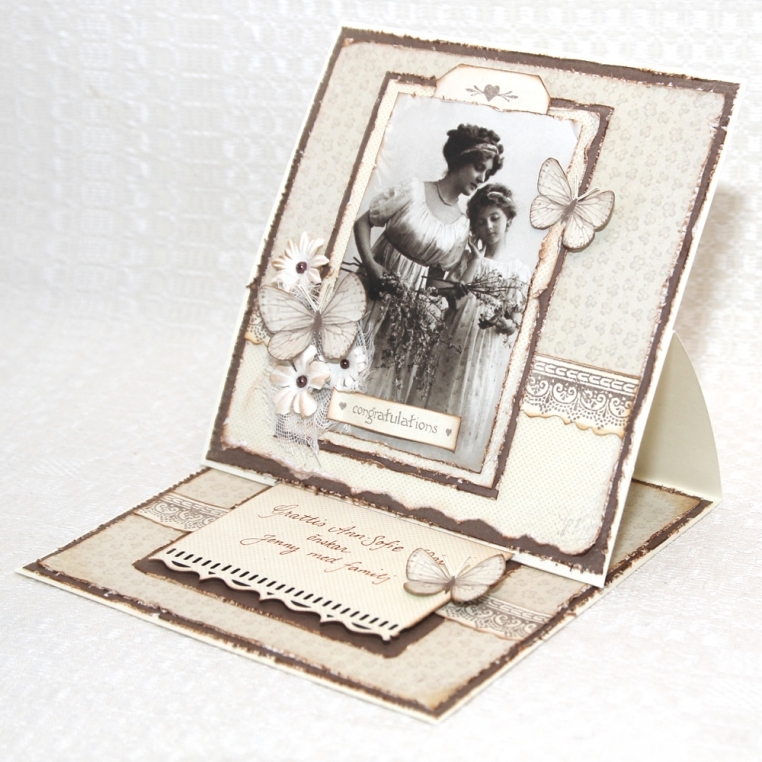 I really love making cards in in brown and beige. The soft colours and gentle patterns presented in the new collection makes Sweet Baby suitable for more occations than just for a newborn baby. Together vith a vintage picture this was a perfect card for my mother’s birthday.